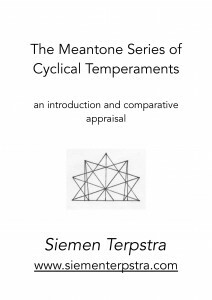 A cyclical temperament is a tuning system which may be expressed as a closed circle of Fifths. Such tunings have the advantage of unlimited modulation of harmonic pattern, that is, price for this mobility. The drawback lies in the mandatory use of irrational ratios instead of small-integer “Just” ratios. 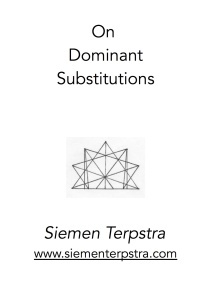 Such tuning systems use controlled “mis-tunings” of the normative simple ratios. Hence they are called Temperaments. This entry was posted in 12-et, 19-et, 31-et, Meantone, Multiple Divisions on 1 December 2014 by Siemen. Table showing the deviation in the musical fifth (in Cents) for various systems of equal-temperament which are close analogues of meantone temperaments. The author re-examines the syntax of Gesualdo’s musical style in the light of the intonational practices of his time. A theoretical structure with which to describe his harmonic practices, and those of other 16th Century composers, is developed. The historical context is presented as well as a series of analyses of Gesualdo’s music. This entry was posted in 31-et, History, Meantone on 1 December 2014 by Siemen. 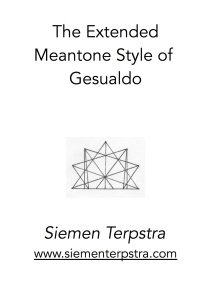 The author develops a syntax for meantone harmony based on the structural characteristics of the temperament. These features include a description of the Regions with their boundary functions, and also the three genera. An abstract topology of triad progression is introduced, as well as an introduction to the organization of functional tables for 31-ET. This entry was posted in 31-et, Meantone, Multiple Divisions on 1 December 2014 by Siemen. 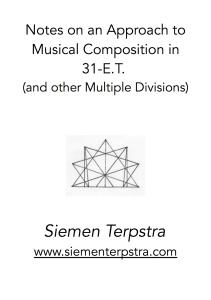 Notes on an Approach to Musical Composition in 31-E.T. The purpose of this article is to examine certain aspects of theory which concert practical musical composition in 31-E.T. (or extended meantone). The principles which are put forth may also be used to advantage with other equal divisions, including 12-E.T., 19-E.T., and so on. This article was meant to compliment the other articles which I have written on meantone theory. 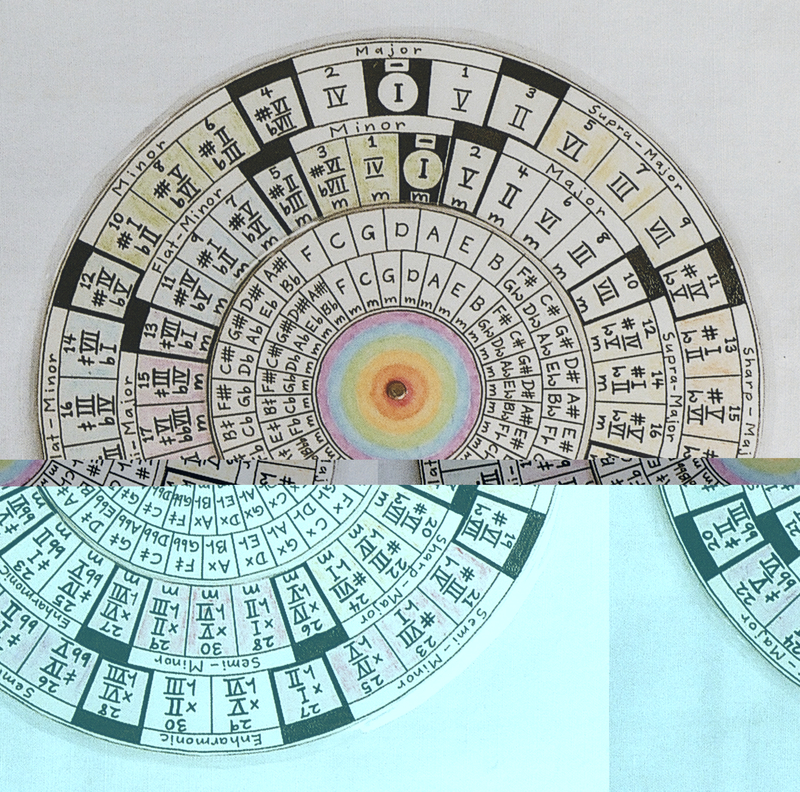 Those articles are: TOWARD A THEORY OF MEANTONE HARMONY, THE MEANTONE SERIES OF CYCLICAL TEMPERAMENTS, THE MATRIX MODEL OF MUSICAL HARMONY, and THE EXTENDED MEANTONE STYLE OF GESUALDO. These articles form a unified approach with no (I hope!) internal contradictions. This collection of harmonies is an expansion of the set presented in my paper Notes on Composition. The need for this information arose out of very practical concerns. I have been playing the enharmonic guitar, and I wanted to work out the finger-positions for chords. 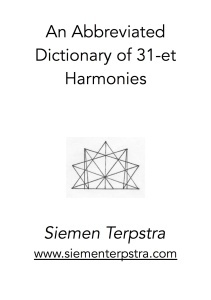 Consequently I needed a reference of useful 31-et harmonies. Of course, this information could also be applied to keyboards or other instruments capable of chord functions. 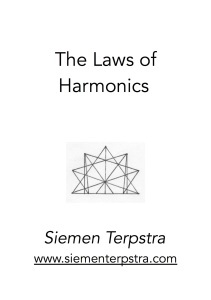 The collection of harmonies shown in Notes are presented in a most concise but abstract way. My aim here is to present the information in such a manner that it can have practical applications for real music-making. 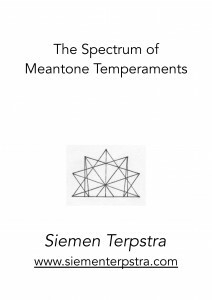 The author explains how tendencies within the structure of the Pythagorean chromatic scale supported the transfer to Just Intonation; however, certain features of Just Intonation necessitated the application of some form of temperament. The meantone temperament formed the best compromise for the musical styles that were being explored. 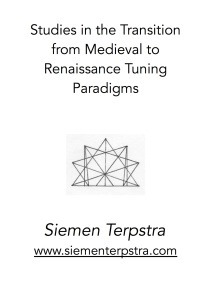 The author aims at a co-relation between tuning paradigm and associated musical style. 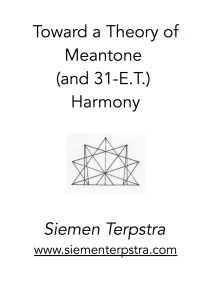 This entry was posted in 53-et, History, Just Intonation, Meantone on 1 December 2014 by Siemen. The author looks at a variety of substitutions for V7 and IVm6 within tonal harmony and why such procedures work. Meanwhile he explores some fundamental issues of music theory. update (august 2016): a brief description of Dominant Preparations. This entry was posted in 12-et, 19-et, 31-et, Meantone on 1 December 2014 by Siemen. 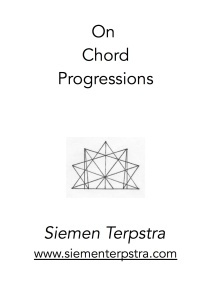 The author examines a variety of chord progressions within tonal harmony. In order to better understand the syntax or ‘flow’ he defends a morphological toll called the Reciprocity Model of chord progression. With this aid he looks at some interesting features mainly oriented around the extended meantone fabric of harmony.